Today’s recipe is brought to you by the letter S and the number 1. S for snow and 1 for the first snow day. Today we have had our very first snow day of the school year and my little girls couldn’t be more excited. While they both love school very much Penelope was worried that she would go through an entire year of kindergarten without experiencing one of those coveted snow days. Somehow this winter we have managed to miss all the big winter storms. Up until yesterday, I was staring out at depressing brown grass all winter. Our snow day activities have included finally getting to use those new sleds Santa brought at Christmas, hot chocolate, video games, Minecraft, and enjoying a dish of snow cream. A pretty perfect day! I originally posted this recipe last year. As this winter came and the Eastern states started to get slammed with snow I noticed that it was constantly getting pinned on Pinterest. The photo I took was at night with my phone and all blurry. I have been patiently waiting for a chance to remake and take a better photo all winter. 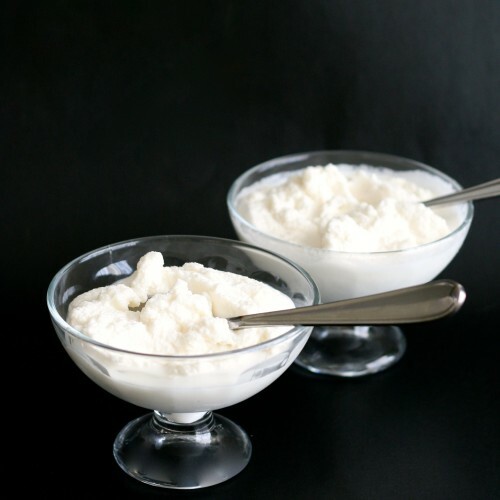 Do you have a bunch of freshly fallen clean snow in your yard because today is the day you should give snow cream a try. 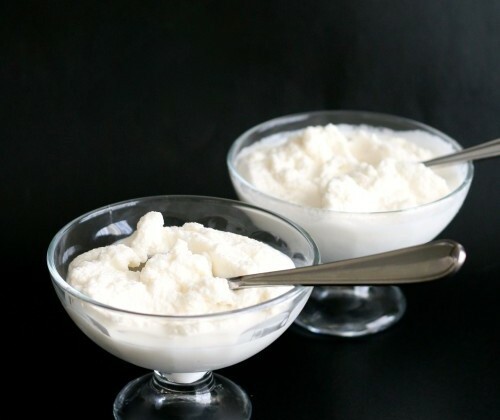 Snow cream is sort of like ice cream but made with fresh snow. You mix together sugar, milk + cream, and vanilla with the snow for a soft ice cream. Eat it quickly because the snow will melt fast!Â The girls have requested we use chocolate milk next time so we will have chocolate snow cream. We will have to give it a try! You will notice the texture of the snow changes as you mix it. If it isnât quite âice creamâ enough texture you can add slashes of milk until it is smooth and creamy. Scoop up the clean snow in a large mixing bowl. Pour in all the other ingredients and mix together. wow! we just had a heavy snow fall today! how timely! It is a fun treat! I saw someone talking about this online a few days ago and I was like “what!? !” then you posted this so now my mind is blown! I have got to try this… snow this weekend.. again!